The UAE Olympic football team has been exempted from fasting during Ramadan as the holy month coincides with the upcoming London Olympic Games. “There will be no pressure on the players to fast since the Grand Mufti of Dubai Sheikh Ahmed Al Haddad had said players who do not fast can make up by fasting in the period following the games,” UAE’s Olympic football coach Mahdi Ali, told this website. “The ball is in the players’ court. “We will not force any player to break his fast, but I think they know what to do, the responsibility is on them and they will take the right decision,” he said. However, Ali criticised the timing of the games in London as being “unfair” to Muslim athletes across the world, because it coincided with Ramadan. “It is unfair to all Muslim athletes and they (International Olympic Committee) should have thought about the fact that the Games will be held during the holy month of Ramadan, because around 3,000 athletes at the Games will be Muslim,” said Ali whose team created history by qualifying for the first time for Olympics. 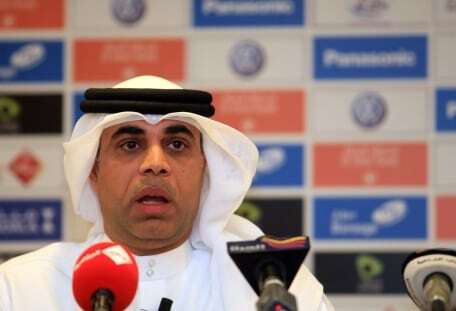 The UAE football team has been drawn in Group A alongside, Great Britain, Senegal and Uruguay. Ali maintained it was not fair for Muslim athletes by drawing a comparison to one car running on a full tank and the other competing on a half tank. Fasting is expected to begin on July 21. The UAE football team will start their campaign against the South Americans on July 26 at Manchester United’s Old Trafford. UAE will also be represented in athletics, weightlifting and shooting at the London Games. Medical experts say that, theoretically at least, a reduction of food intake during Ramadan could deplete an athlete’s liver and muscle glycogen stores. This is likely to lead to a drop in performance, particularly in sports requiring muscle strength. Foreseeing potential problems and working far ahead of time, the International Olympic Committee’s (IOC) nutrition working group convened a meeting in 2009 to review the evidence. They came to the conclusion that Ramadan fasting could be problematic for some athletes in some sports, but the likely overall impact of Ramadan on London 2012 is far from clear. Ronald Maughan, a sports scientist from Britain’s Loughborough University who chaired the IOC working group, agrees some physical changes are likely. However, he also noted that observing the Muslim holy month involves mental and spiritual discipline, the effects of which should not be underestimated. “Some individual Muslim athletes say they perform better during Ramadan even if they are fasting because they’re more intensely focused and because it’s a very spiritual time for them,” he told Reuters. Maughan led a team of scientists who reviewed more than 400 research articles on Ramadan and selected those relevant to sporting performance. They found that “actual responses vary quite widely, depending on culture and the individual’s level and type of athletic involvement”. “There are often small decreases of performance, particularly in activities requiring vigorous and/or repetitive muscular contraction,” the team wrote in the review, published in the British Journal of Sports Medicine (BJSM) this month. But they concluded that in most situations “Ramadan observance has had only limited adverse consequences for either training or competitive performance”. Still, experts say Azizul and Fatehah’s concerns, that fasting could dim their chances of standing on the podium at the end of their competition, are well-founded. Jim Waterhouse, a sport and exercise science professor at Liverpool John Moores University in Britain, laments that so few studies have been done that give direct insight into how Ramadan-observing athletes may fare during the Olympics. Het suggests looking at other similar research on fasting, such as in soccer players, or in people who are sporty but non-athletes. A study in the BJSM in 2007 which looked at two Algerian professional soccer teams found that players’ performance declined significantly for speed, agility, dribbling speed and endurance during the Ramadan fast. Nearly 70 per cent of the players thought their training and performance were adversely affected. Another study published in the BJSM in 2010 concluded that “Ramadan fasting had an adverse effect on performance, albeit small in magnitude, during 60 minutes of endurance treadmill running” by moderately trained Muslim men. “It depends on the sport,” says Azizul. “If you come from skilled sport it doesn’t matter, but we (cyclists) require quite a lot of energy. I did try fasting last year during training. Some experts have wondered whether changing the timing of some events might be a way forward. A Muslim 100 metres runner who is observing Ramadan and whose race is in the early part of the morning is unlikely to be particularly badly affected if he or she has been able to eat and drink up until sunrise, for example. “But suppose you’re a decathlete and your competition starts first thing in the morning and ends at 8pm. With no food or drink in that time, that’s a long hard day, especially if it’s hot,” said Maughan. Waterhouse notes that with many non-Muslim athlete also taking part in London 2102, and with peak television viewing times a key factor in scheduling events, changing timetables to accommodate Ramadan would be “fraught with difficulty”. For now, his core advice would be to follow Azizul and Fatehah’s lead and postpone fasting until after the event.